The 1955 Topps Baseball Card set includes 206 horizontally oriented cards that measure 3¾" by 2 5/8". The 1955 Topps baseball cards are the first set printed horizontally by Topps and feature both a head shot and a full-body action shot of the player. Cards #175, #186, #203, and #209 were never issued. The 1955 Topps high number series of cards, ranging from #161 to #210, were issued in slightly smaller numbers. 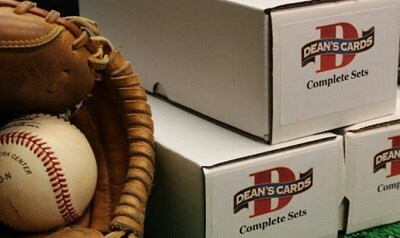 The set is condition sensitive, meaning the lower grade cards are much more plentiful and affordable. The 1955 Topps Set has a strong crop of Hall of Fame Rookie Cards: #123 Sandy Koufax, #124 Harmon Killebrew and #164 Roberto Clemente. CLICK HERE if you want to sell your 1955 Topps Baseball Cards. Showing 1 to 100 of 214 products.